Here in New Zealand, we are celebrating Hearing Awareness month! A month dedicated to bring more awareness to our profession and giving us a chance to educate our current and future clients. ​How is your clinic raising awareness this month? ​As it is Hearing Awareness Month, I thought we would take a look at some of our features that can be utilised to empower your clients and have them succeed with their hearing instruments, even in the most difficult environments. ​​The Sound Enhancer is available through the Smart App with LiNX2 9. 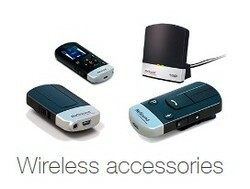 It allows the user to customize the noise level, speech directionality, and wind effect of the hearing aids. Provides control of noise levels depending on one’s preferred environmental awareness. Provides choice of directional focus depending on the width of the beam so that the speech sounds clearer. Provides manageability of wind noise in maximise listening comfort. The easiest way to give access to the user is to activate a second program in the Aventa software. Under advanced features choose either adaptive directionality or softswitching. Make sure Autoscope is set to Wide, Medium, or Narrow; Noisetracker is not on per environment and windguard is turned on. A free tool, easily forgotten for those using MFi devices (Linx2 9, 7, 5 or Enzo 9, 7 or UpSmart 9, 7) with an iPhone 5 (or newer). ​Live listen turns their iPhone into a remote microphone. 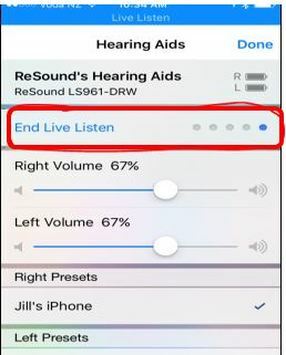 By triple clicking the home button on their iPhone they can turn this feature on and the microphone on the phone will stream the sounds directly into the hearing aids. Don’t forget the flexibility of all of our accessories, which includes the Phone Clip+, TV Streamer, Mini Mic, and Remote Control. If your client is still struggling in any situation even with the use of hearing aids, these accessories can add benefit to the clients experience. If they are still struggling to hear the TV, streaming the sound directly into the hearing aids may be very beneficial and improve the clients experience. If they are still struggling to hear at work or in meetings, then a mini mic may provide the extra boost of confidence they need to succeed in their day to day life. ​The best thing you can have is flexibility in order to meet the needs of every single client. You get these with our products! 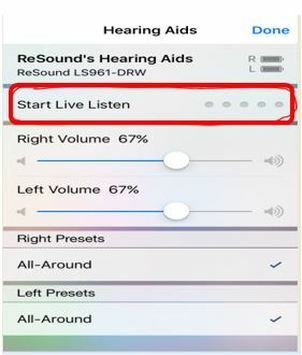 Utilizing these features allows your clients to take control of their hearing loss!